I walked up the steps to the Bard’s College. My hands were shaking and my heart pounded. I was taking a big step in my future. College. The transition from being a child to a young adult. I walked to the door and hesitated. I took a big gulp, and walked through the door. Despite the flurry of events the previous day, my sleep was dreamless. I actually awoke a little disappointed. I hoped to speak to the bronze dragon again. He and I seemed to share a kinship. I realized the foolishness of what I was thinking. A kinship? With a dream-dragon? I must be going mad. Or perhaps it was the tea I missed. Am I getting homesick? I brushed that thought aside as well. There were plenty of reasons to be glad I was free of the Aldmeri Dominion. It was not a charmed life. At least, not for me. Not a nightmare this time, but a strange dream. On a snowy mountain top, a table, chair and Aldmeri tea were set for me. Overjoyed, I sat and poured myself a cup. The Nords only seemed to have beer, mead, and wine to drink. I sipped, waiting for someone to join me. My “guest” arrived on bronzed, tattered, leathery wings. A dragon. A very, very old dragon. We arrive in Helgen. Prisoners. To be executed. I was silent most of the journey. There really wasn’t anything to say. 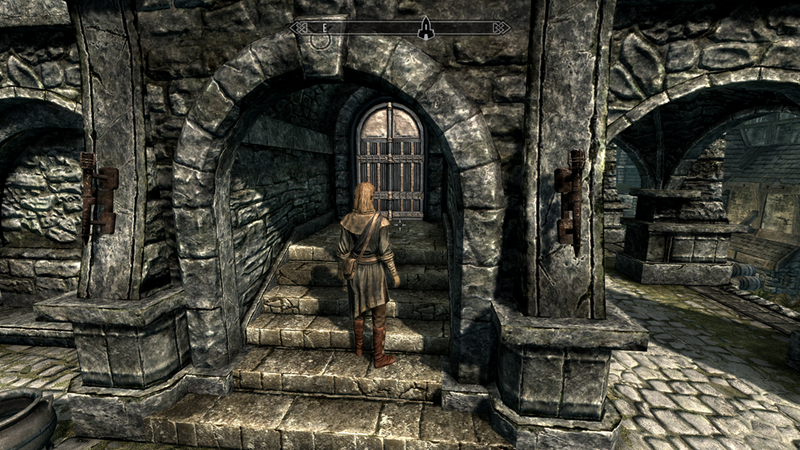 My dream of going to college in Skyrim is my nightmare. But I stayed silent. What was the use? After my previous attempt mocked, it was pointless to fight it. Me. A prisoner. With no name. This is the journal of Azeriah Letholias. 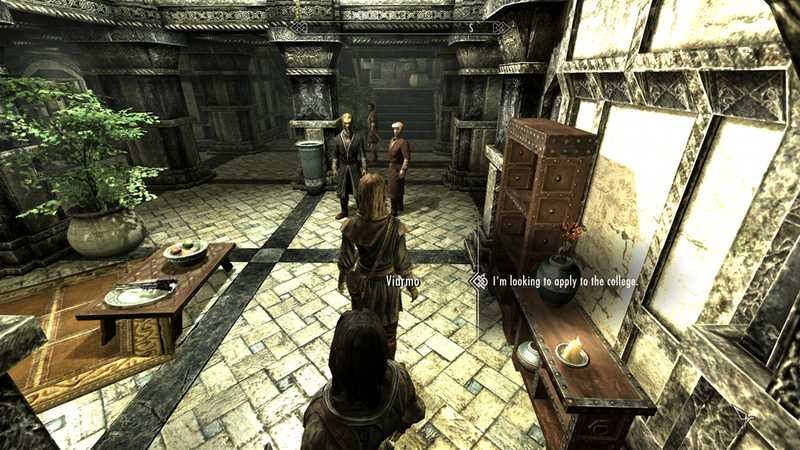 My father is Sethren Letholias, a Thalmor Ambassador. 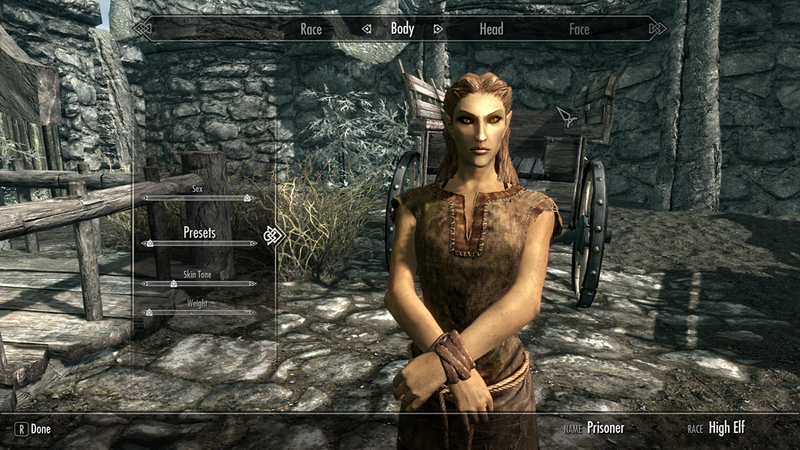 My mother, Arienne Letholias, is a mage of some renown in the Summerset Isles. She used to work on high security missions for the Thalmor, but is now retired from active duty. She runs and owns an alchemy and spell shop in Alinor. 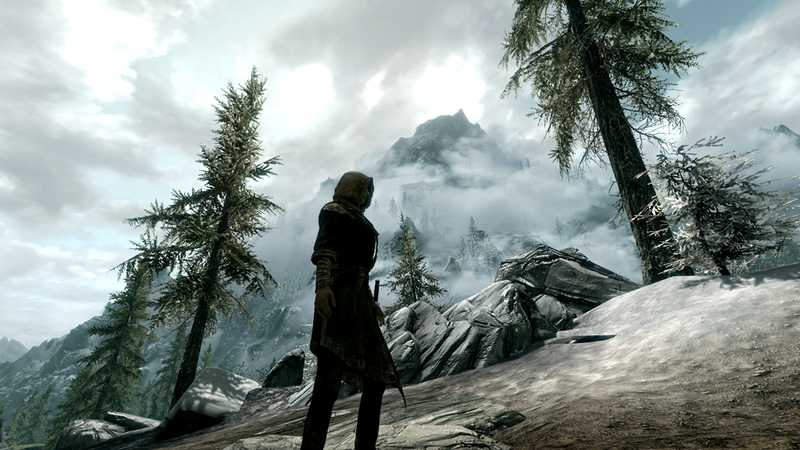 I am on my way to attend colleges in Skyrim, much to the dismay of my parents. They wanted me to attend university in Alinor, or at the very least, the Arcane University in Cyrodiil (even though less prestigious than before the war). But I was insistent on attending school in Skyrim. As one of the oldest schools dedicated to magic in Tamriel, I have dreamed of going since I was a child. The civil war between the Imperials and the Stormcloaks was, of course, a reason for their insistence on staying close by. A valid objection, to be sure. However, in Skyrim, it would be more difficult for them to use their influence to spy on me, or otherwise mettle in my affairs. No, I was going to study in Skyrim. I said it was because I planned to major in alchemy, and Skyrim boasts some of the most wonderful botanical varieties in all of Tamriel. A few of which can only be found in Skyrim, like juniper berries. I wanted to experiment with them. I’ve only eaten them once, when a Khajit caravan came into town when I was little.